Another Tranquil View from the Top. It is my second time this year to the Hundred Islands and this time I accompanied some of my friends for a supposed day-trip. I missed Children's Island the first time I went there so I grabbed this opportunity to visit the island this time around. 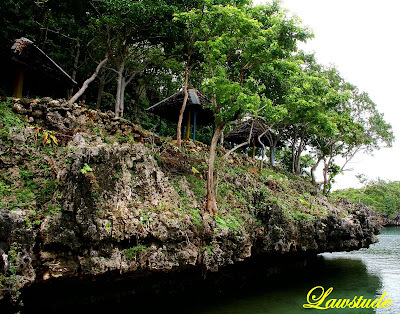 Children's island was named as such because it's beach is said to be child-friendly. Its beach has a gentle slope so the depth remains shallow for some distance from shore. It has a fine off-white sand and the waters are very clear too. The island also has several picnic huts and at the time of our visit, construction of function house and other amenities are on-going. If not for dark skies and impending rains brought about by Typhoon Helen, we could have stayed longer. Also, the photos above were taken on such weather condition so they appear gloomy. More on the other islands on my next post. 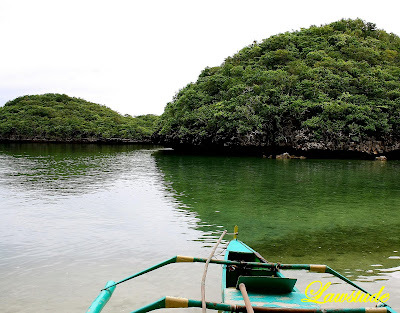 meron pala talagang children's island... i wish makapunta rin ako dyan. makakapag island hopping din ako sa hundred islands. isinusumpa ko! hehehe. bakit children's island? mga bata ang sponsor ng island na to? kewl post... refreshing ulit. whew! thats a very beautiful place!! great scenary! Sixth one is really awesome.. A cool spot... Can we spend some time there or not? Will they allow? @ alicesg - thanks you again for the visit. it is getting to be a mutual admiration but photography really has linked so many people in different countries. i am just glad to share what my country can offer. @ EM - yun na yata nagiging trademark ng shot ko. a friend once told me na my photos are gloomy. buti na lang may nagagandahan pa rin lols. @ phivos nicolaides - it is indeed a fantastic place and the children will enjoy swimming in it. 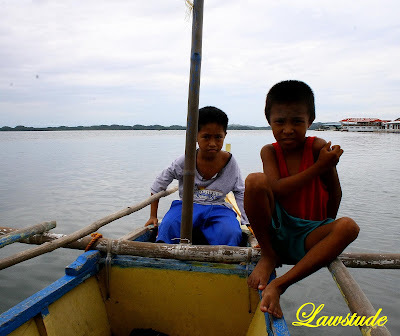 @ ifoundme - hundred islands has 123 kaya siguro tribute nila sa mga bata yung isang island. @ luke wiley - i agree sir. really incredible. @ the islander - sumpa yan ha. kaya children island kasi yung beach nila ay child-friendly daw. mababaw pa rin kahit malayo na sa pampang. @ freddy - thanks, lots of swimmers go under that rock and enjoy the clear waters. @ selerines - yes. the place has a hut that can be used overnight. electricity however is limted until 12 midnight only. @ mink - thank you. one word speaks volume. 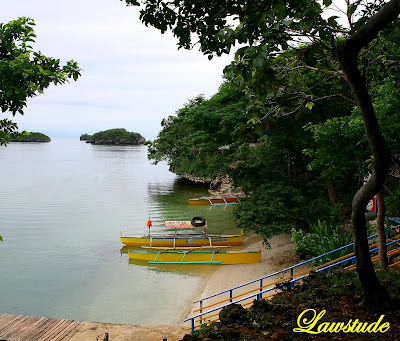 when we visited hundred islands, dito kami nag-stay. at oo, ang layo na namin ang babaw pa din. sinubukan pa nga naming dayain sa picture na kunwari nasa malalim kami. nakakatawa kase obvious dahil malinaw ang tubig. astig ng kuha. talagang may mga bata pa. children's island talaga. hehehe... nadaan lang namin ito. hindi na kami nagdock. yan ang dapat sa akin kasi mababaw lang. takot ako sa malalim. pakiramdam ko lalamunin ako. Nice pictures ulit. Every province may magagandang tanawin which is wala sa ibang bansa. Siguro sa jolo at sulo , sigurado akong may magaganda ring tanawin doon. Hmmp. May trabaho ka pa ba? Grabe sa libot kakainggit. Hehehe. wow, i didn't know that one island there is named after children. haven't been to hundred islands. seen quite a lot of blogs about it and now your post gives me yet another reason to really go and see it. LS: I really wasn't thinking gloomy as I took the trip to Children's Island. The opposite, I was thinking tranquil and beautiful. I often say capture what is available and you always have so much to see. napaka peaceful ng island. sarap mag muni-muni dun. Tranquil is certainly the appropriate word. It's amazing how every time I do blog-hopping, 2 out of 3 times I get entries on rice terraces in Philippines. It has really fueled my long-time desire to see one in person! As always, I enjoy the Tappia Waterfall Hike photos and this entry; The Children's Island. As always, I love getting close and personal with nature but *ahem* it's not exactly applicable here. All you get here is some botanical gardens and that's about it! Looks like a wonderful place to be. I would not mind being a child for a few days and stay there. great and beautiful trip, beautiful places, excellent. que precioso lugar compañero que envidia me das. 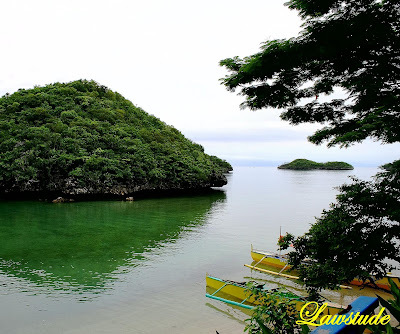 I've not been to many places in the Philippines, but I have been to Hundred Islands. I loved it there! My aunt is building a house near there and I can't wait to go visit her. bakit parang malunkot sa island na iyan? pero maganda parin. gsuto ko na din pumunta. kaso wala ang daming balakid. heheheheh. ilalangoy ko nalang sa pichurs mo! good thing you were able to visit children's island this time though medyo naging sagabal si helen. medyo gloomy nga yong pics but nevertheless maganda pa rin. 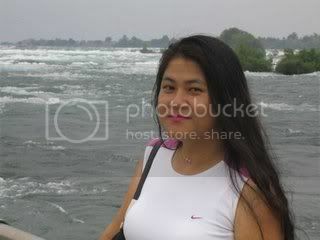 been to Hundred Island once pero was never able to visit Children's Island. Great shots bro! Good Morning everyone! Or rather good evening because my office is surrounded by darkness because of power outage. And there ain't no power generator. Geez. @ ash - thanks, the place is indeed beautiful. @ lei - ayos yun talagang mababaw tubig hano? medyo malamig nga lang. @ the dong - nung una kong punta this year di ko to nadaanan so kahit puro renovation sa place inaya ko yung bangkero sa children's island. @ kirksydney.com - thank you, just a hobbyist here. the subjects are just wonderful for landscape shots. @ nanaybelen - meron talagang island doon na mag fifit perfectly kahit kanino. 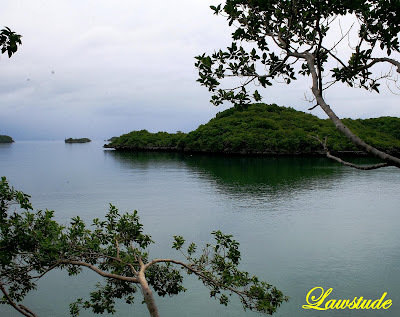 ayos ang children's island sa inyo kasi mababaw lang talaga. i am sure meron din maganda view sa jolo at sulo, medyo problem lang talaga doon ang mga rebels. @ vanessa - oo naman. i still have a day job (buti na lang kundi wala ako panlibot) lols. @ collapsing barrycade - most of the 123 islands there have names while some smaller islets do not have one. you should go check the place out although the place is not really good for snorkling. @ fishing guy - tranquil and beautiful suit the place just fine. thanks for the visit and you are welcome too. @ redlan - i agree. masarap mag meditate at mag-isip kung saan ba uli gagala. @ dave - hey, welcome back. busy with studies? @ tutubi - i didn't but the info center said there are 123 islands based on their last count. the info center also told us that the three most docked islands were governor's, quezon and children's islands. @ carletta - thanks you. tranquil indeed is the perfect word. @ share my poit of view... - rice terraces is one of the most famous attractions of my country but it doesn't stop there because we have some of the world's fine beaches and explorable islands. thanks for the visit and welcome to my blog. @ andrea - me too, even for a day just to keep stresses of life away. @ kris jasper van dyke - thanks kj. rainy season na nga and sunod-sunod na rin mga bagyo. after frank, we had helen and now igme. @ daniel j. santos - thanks you for the warm words. @ george - gracias senor. limited lang spanish ko ;). but thanks for liking the photos. @ rochelle - that would be nice and fun if you could bring your family here to enjoy the beauty of my islands. @ beero - oo nga, pero bumalik pa rin ako sa governor's at quezon kasi di pa yun napupuntahan ng kasama ko. yeah medyo gloomy nga because of helen. @ allan barredo - thanks allan, isa kasi yung children's island na madalas ko mabasa sa net so pinuntahan ko sya this time. be careful lang because the steps leading to the beach is kinda slippery. but the water is really clear and cool. best for childred due to its shallow depth. These pictures are really good! Wow, you're so lucky to be able to visit all these awesome places. I wish I could travel more =) Cheers! i wonder why they call it children's island. Congratulation on such fantastic photos both of this and previous post! Well done job! I am impressed with magnificent landscapes and breathtaking beauty of nature you have had fortune to enjoy. 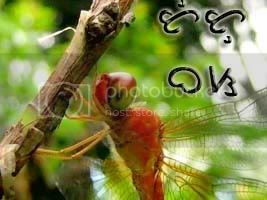 Thank you very much for visited my blog again and for your nice comment. I appreciate it a lot. @ random ramblings - you said it right arlene. thanks for the caution. @ dodong flores - thanks. i am sure you will have a great time there. @ stanley - thanks for liking the photos. guess i am really lucky to travel these places. @ mediterranean kiwi - wow. thank you for describing it that way. 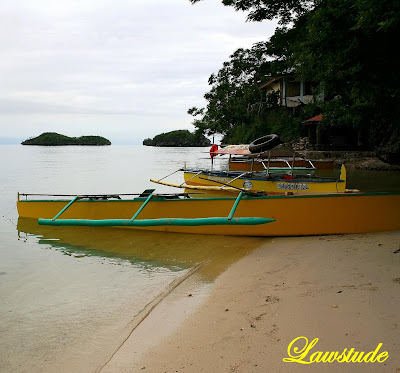 @ prinsesamusang - they call this children's island because the beach there is safe for kids. @ chester - happy blogging too. @ medam - thank you for the nice compliments too. have a nice day. @ bakhrian - well, children love to go there. thanks. @ pts - thank you. i appreciate. 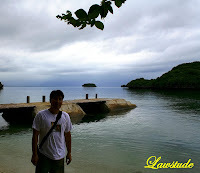 What an amazing island and indeed I could feel the calm & peaceful environment. Fantastic scenery, very beautiful views. Thanks for your kind comment, I appreciate very much. gloomy is cool! ganda ng lugar. pasama naman dyan minsan. Beautiful photos and place too. @ shionge - that is why it is perfect for kids. thanks for the visit. @ hunder - thanks for liking the photos. @ pietro - the plave indeed is very scenic. you are welcome. @ r-yo - sige panyero. uuwi ka ba sa bar-ops? @ laerte pupo - i couldn't agree more. @ alicesg - you're welcome. i enjoy your blog very much. i'll check it out now. @ caryn - you should one of these days. pero teka, wait na lang pala sa summer. hey!your pictures are fantastic!Have you edited those? Will add to my visiting site..good job!